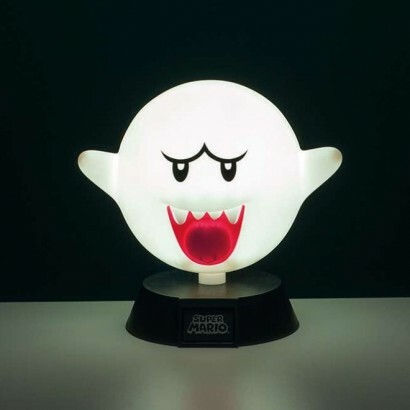 The iconic villain from the Super Mario games, Boo the ghost is lit with three bright white LEDs shining eerily in the dark! 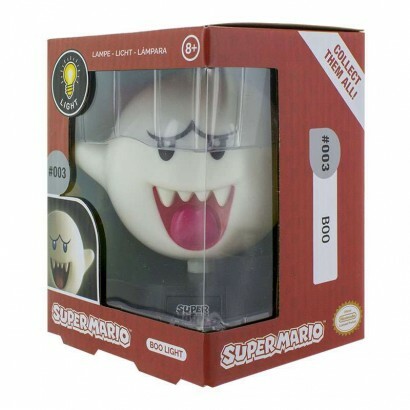 One of the better known bad guys from Super Mario Bros and Luigi's Haunted Mansion, Boo creeps up on our hero expanding in size to become ever more of a threat! 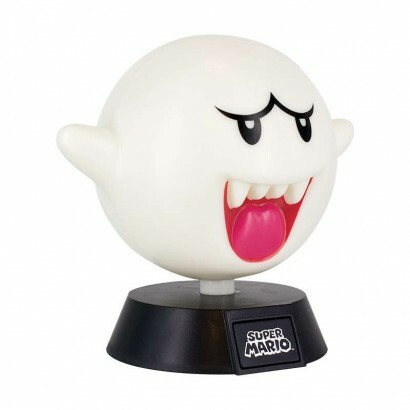 More of a friend than a threat, this Boo shines brightly in the dark guiding you against things that go bump in the night making it a must for Mario fans no matter what their age!